In July 2017 Suncrest acquired +/- 100 acres of land in Smyrna, TN along Morton lane to develop a new 230-home residential community named Cedar Hills. Cedar Hills is a residential community located in Smyrna, Tennessee in northwest Rutherford County. The 100-acre property was approved by Smyrna, TN for the construction of 230 single family homes, which will be complimented by a community amenity center, neighborhood pocket parks and over 45 acres of open green space. Cedar Hills is well situated along Morton Lane just 2 1/2 miles west of Interstate-24, adjacent to the Stewart Creek Elementary, Middle and High School campus and adjacent to an 80-acre city of Smyrna park in which four new baseball fields will be constructed by the summer of 2018. 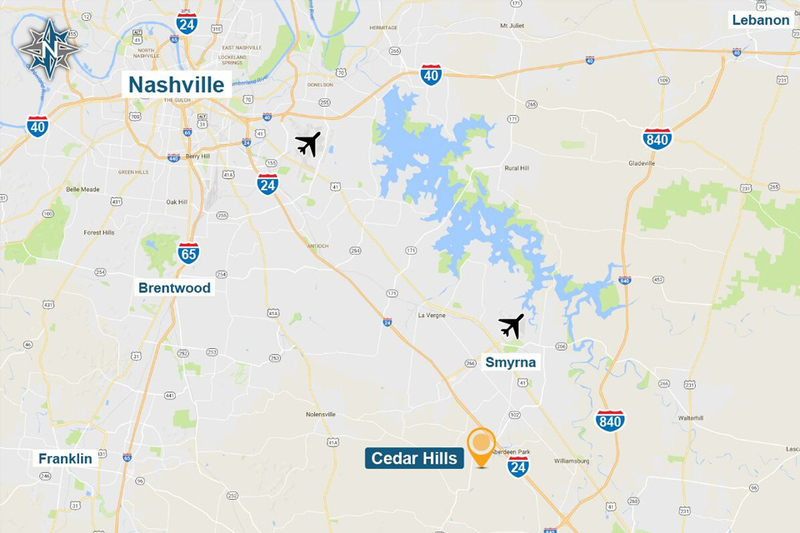 The Cedar Hills community will offer future residents favorable access to well ranked schools, transportation, employment, recreation, dining and shopping in Smyrna, Murfreesboro and downtown Nashville. Ryan Homes, the home-building division of NVR will be the premier home builder in Cedar Hills. Ryan is one of the top 5 home builders in the country and has been building quality new homes for over sixty years with an unwavering commitment to building based on commitment to customers, consistent quality and personalized approach. With the high-caliber builder partner Ryan Homes already selected, Suncrest looks forward to participating in the continued growth of Smyrna and Rutherford County by developing a quality neighborhood that residents will be proud to call home.